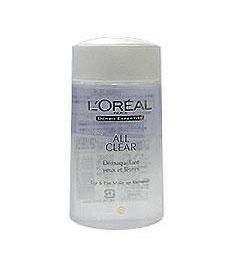 The reason why I recommend is…everywhere I go, to a salon or to meet my friends, they would all say Loreal is known for lip and eye remover. Oil and water is mixed in ratio 3:7. It erases the makeup smoothly and gives fewer stimuli on the skin. Everyone says, it doesn’t dry up the area in the eyes because of the oil. There is no problem for erasing strong eye makeup or for sensitive skin. Especially the price is low compare to the functional part of the product. Be aware to use a lot of makeup remover so it doesn’t stimuli the skin on the face and cleans the makeup well.